It’s summer time! It’s nice to not have to deal with school and homework and lunches. With time off though, we definitely need to keep the kids busy. We decided that this year, we would try and discover more of what was around us. 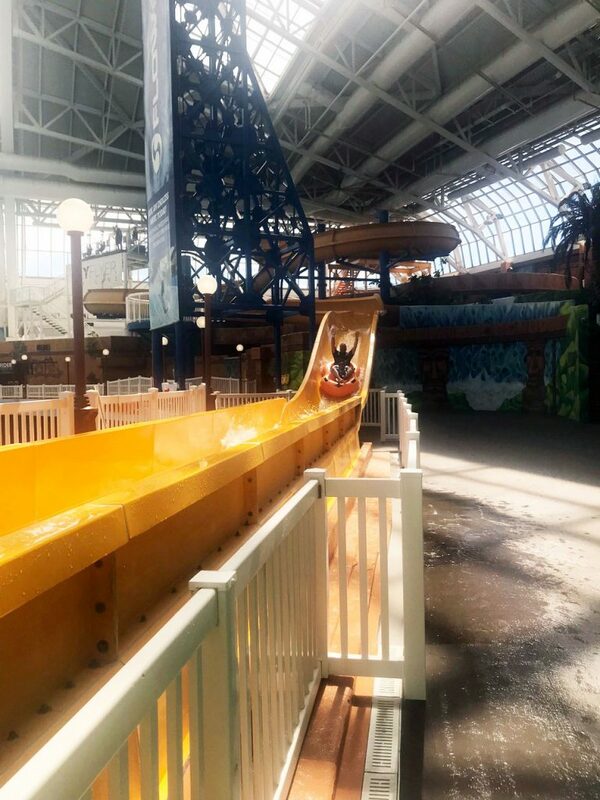 We headed to the World Waterpark at West Edmonton Mall a couple weeks ago. It’s been so long since we have been at the mall, it’s always amazing how much is actually in there. We spent all day Sunday at the pool. With all that it has to offer, it’s not hard to do. 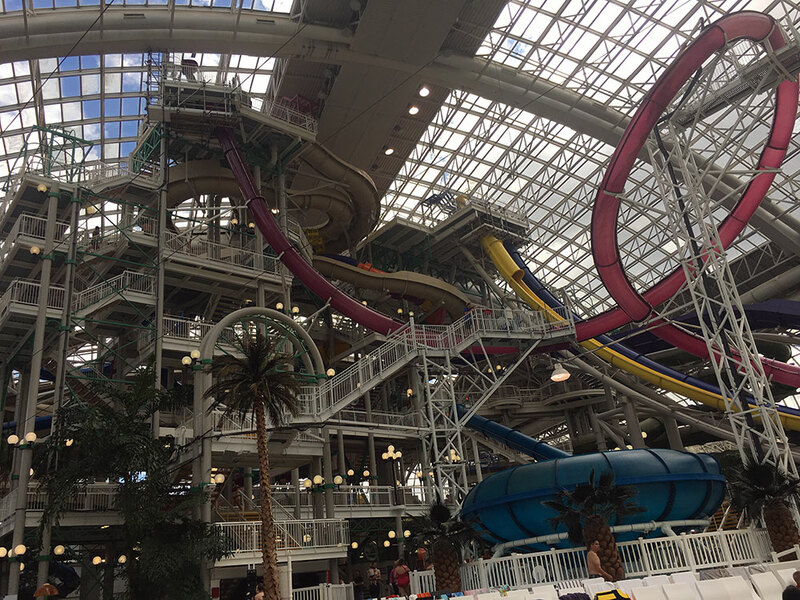 The waterpark boasts the world’s largest indoor wave pool. I think we spent the most time in this pool. 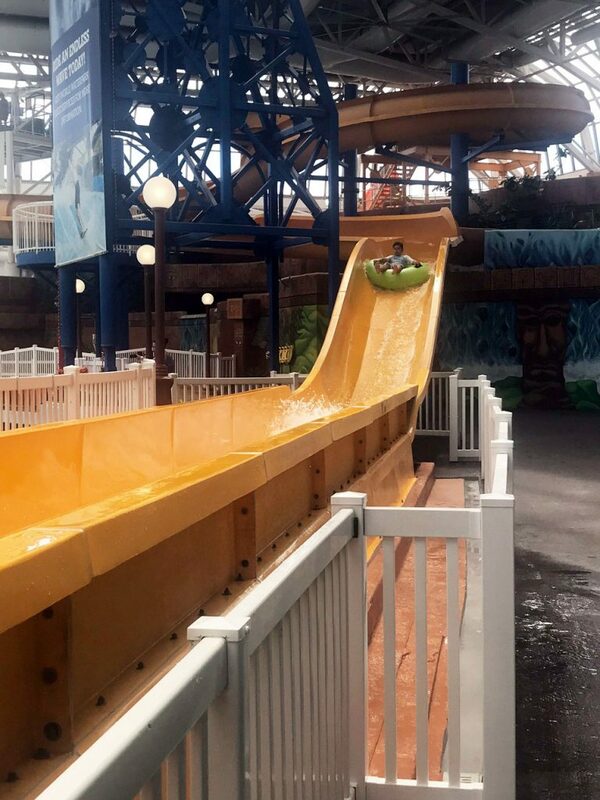 You can rent a tube for the day for and enjoy it while in the wave pool. You can also rent lifejackets at no cost. Like slides? 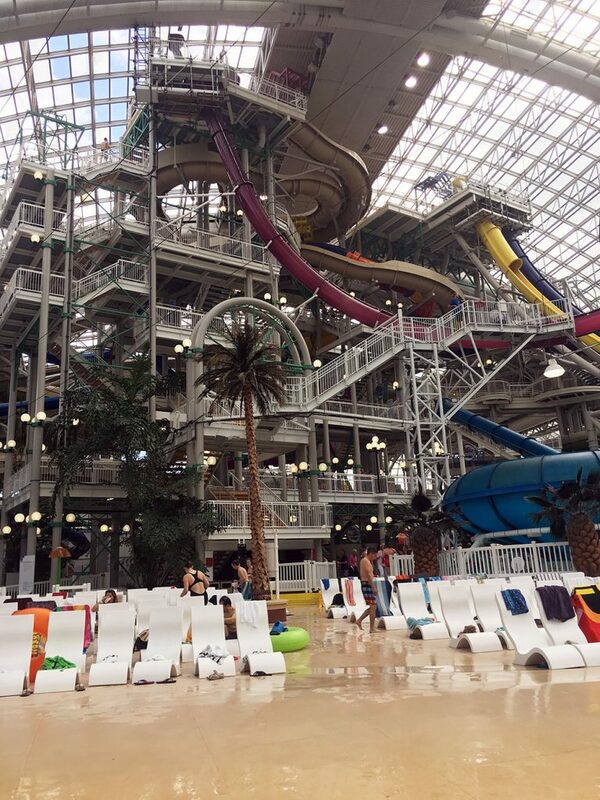 There are over 21 slides in the waterpark. From the tame to the scary, there is something for everyone. I was happy to watch as the boys tried out a few slides. I think everyone’s favourite was the Sun Runner where you go down in a tube. 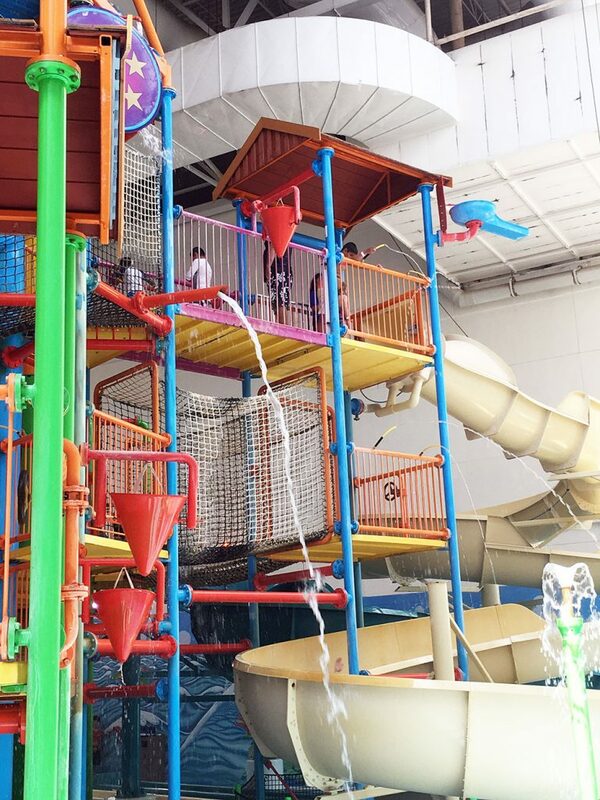 The waterpark accommodates any age and there is a lot for the little ones to participate in. 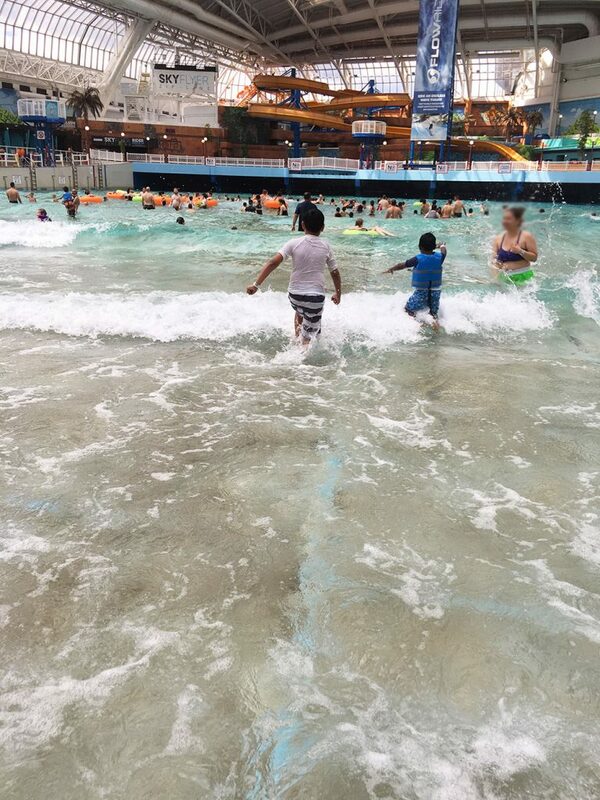 The wave pool isn’t very deep so that was a nice option. 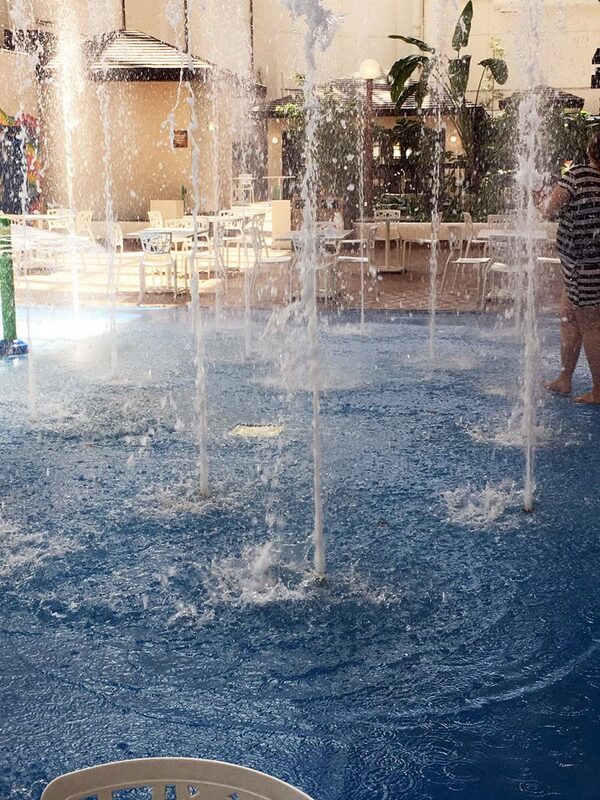 Z also enjoyed the splash pad, the kiddie pool and the play structure. 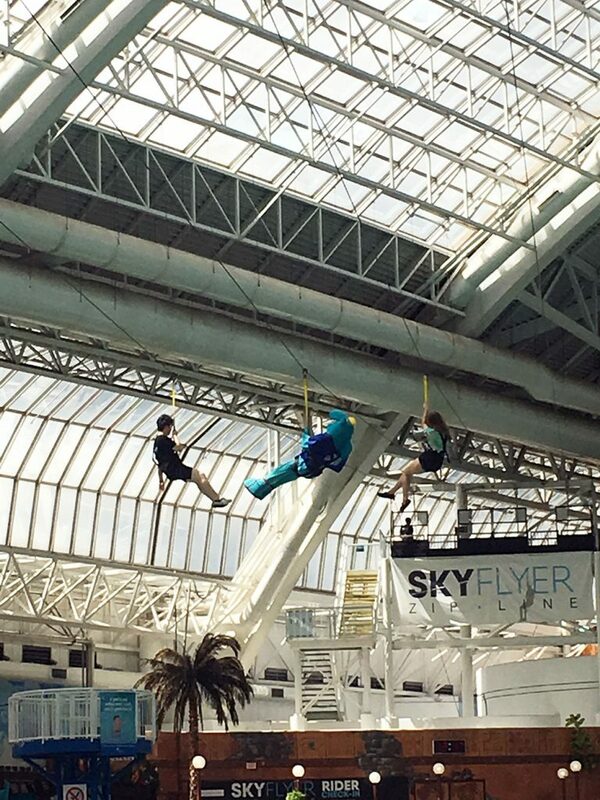 The SkyFlyer Zipline is part of the waterpark and is the world’s largest indoor zipline. 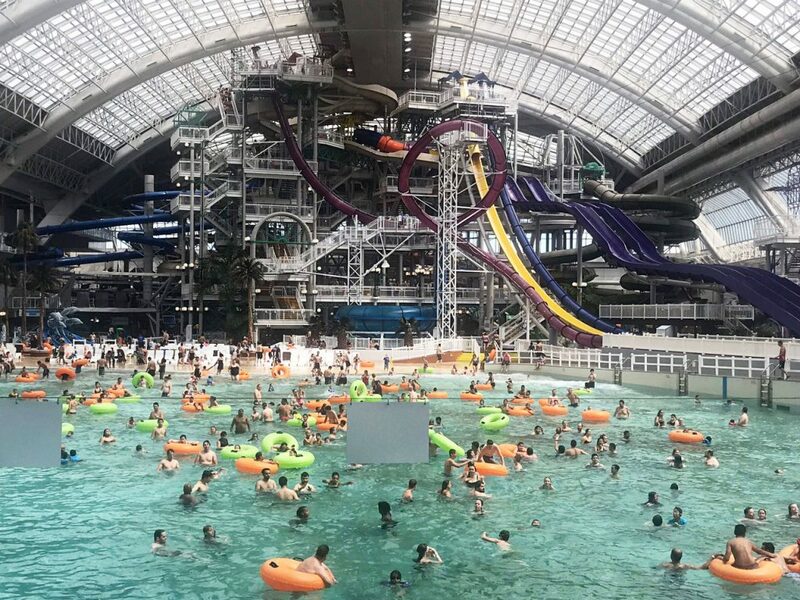 You can go across the entire wave pool for a view not a lot of people will see. You can’t bring your own food and drinks into the facility but not to worry. There are lots of options when hunger hits and you are ready for a snack. There were a couple concessions and even a bar. 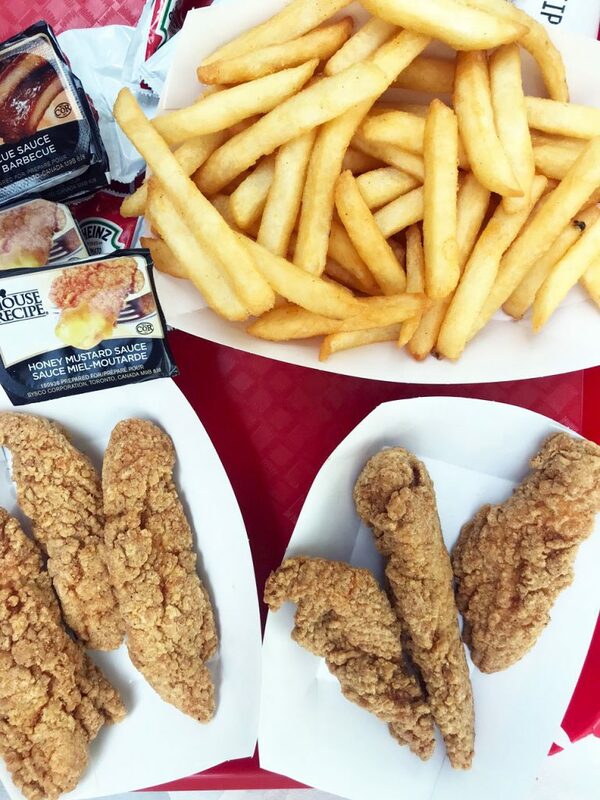 Enjoy things like chicken fingers, burgers, hot dogs, ice cream and salad. 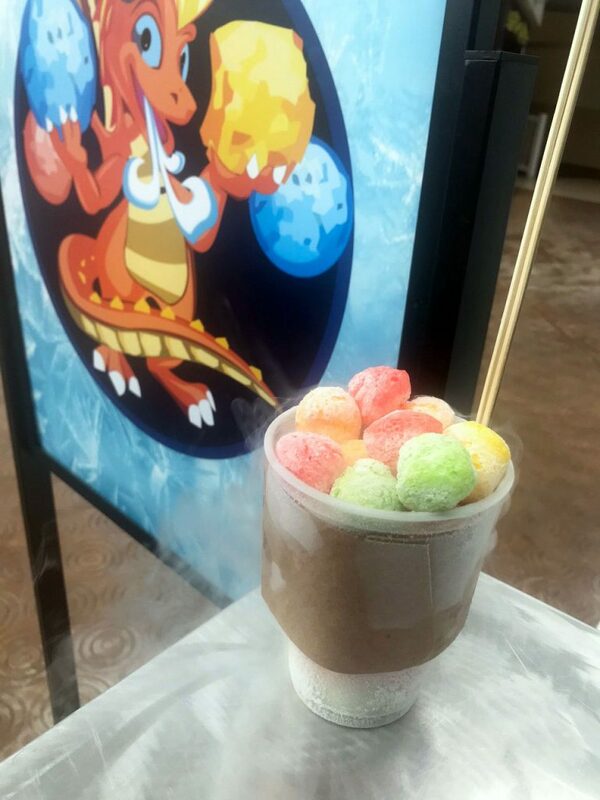 For a different kind of treat, there is Dragon Breath Café. There were colored corn puffs (kind of like fruit loops) with liquid nitrogen which allows you to blow out air like a dragon. Obviously we had to try it. 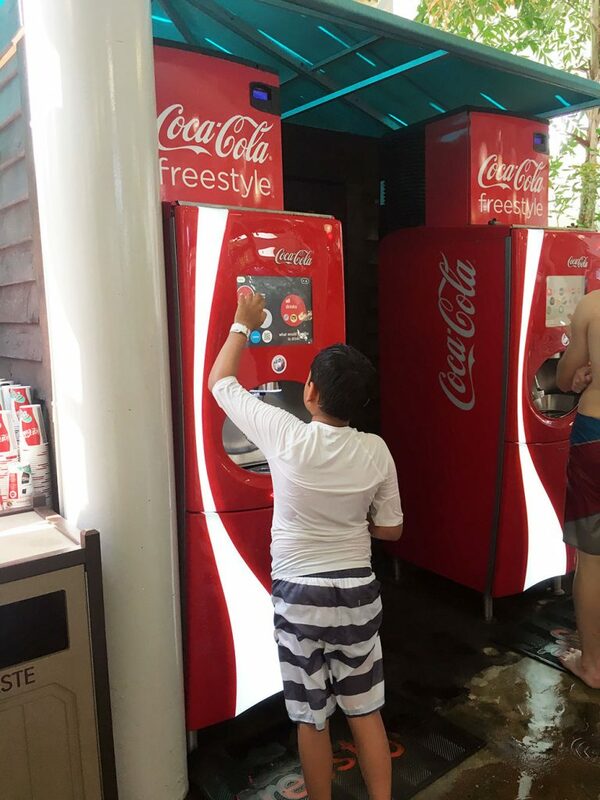 They also had a Coca-Cola Freestyle machine where we were able to enjoy free drinks. There are a lot of chairs so you can literally hang out all day. 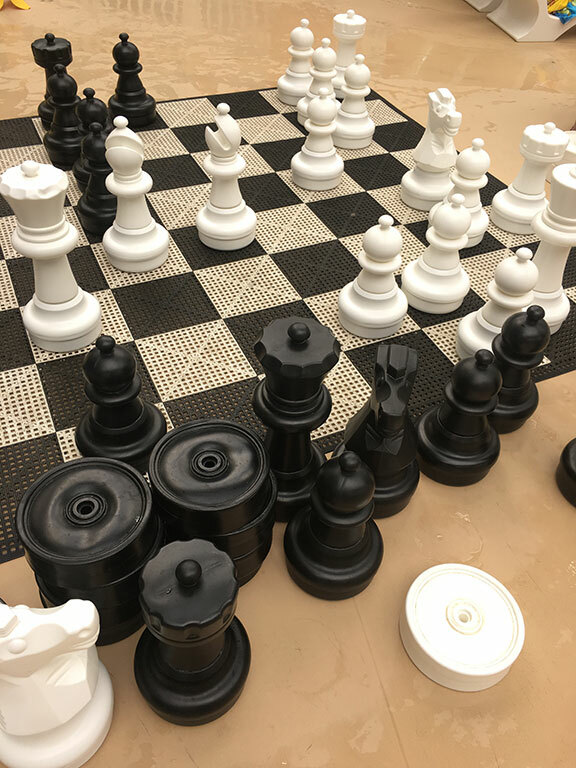 They even have other things to keep people busy like the big chess / checkers set. It was so helpful having a family change room so that I could go in the same space with hubby and the kids. Purchase a locker when you enter the change room and you are given a band. You can choose how many bands have access to a locker. Use that band to access the locker the whole time you are there. The family change room was large with lots of showers and lots of change rooms available.